FOOD and interdisciplinary research are the central focus of the 1st International Conference on Food Design and Food Studies: Experiencing Food, Designing Dialogues, reflecting on interdisciplinarity as not limited to the design of objects or services, but seeking awareness towards new lifestyles and innovative approaches to food. Albeit the social sciences, through Food Studies researchers, have continuously looked for how food influences and shapes society, there is a growing interdisciplinary interest in Gastronomy, similarly to Design, where more projects try to solve problems related to different food systems. Worldwide academia and media are currently discussing examples of these Design processes around food and this emerging phenomenon: Food Design. Design, Gastronomy and Culture interact at different levels and shape the food production, communication and distribution by valuing and bringing to life aspects much wider than the mere question of feeding as an act of survival. 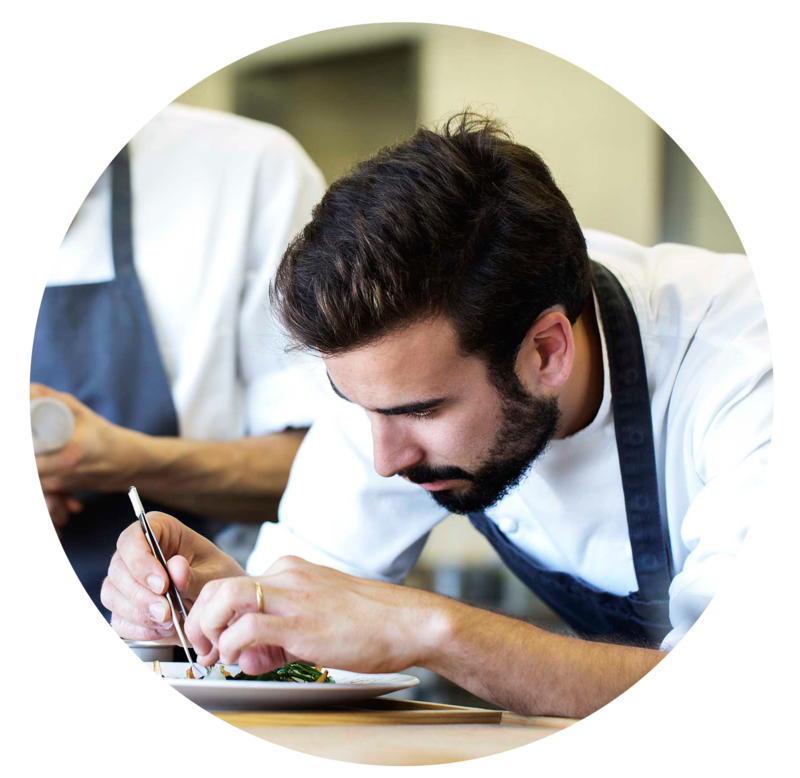 In Portugal, there has not been much research on the relationship between Design and Gastronomy; hence the relevance of pairing the enormous attention given to restaurants and chefs, researchers and professionals with the impacts of Food Design. Additionally, a new sense of social responsibility emerged, where chefs and designers react to face the challenge of a positive change in the paradigm of food. The latter only recently looked at food and food services from different perspectives, developing and applying new theories, as food became the focus of the various areas of Design – either from Graphic Design to Product Design, or from Architecture to Communication. Numerous aspects influence such a relationship between food and Design, since Chefs use Design techniques and tools to create new dishes, experiences, and services, even if they are unaware of it. Food systems are at their maximum resource capacity and designing new ways of thinking about food will possibly bring a different approach to generate sustainable solutions. Accordingly, food production professionals have developed a desire to share knowledge about food, creating new communication networks open and accessible to everyone, where ideas can be freely expressed through creativity, innovation, experimentation and dissemination. Ultimately, rising consumer awareness about economic and social matters on food production – as a response to recent globalism, a concern for the environment or a practical solution to local economic development – brought Design Thinking to the core of many of these issues. The Estoril Higher Institute for Tourism and Hotel Studies, the Faculty of Architecture | University of Lisbon, the School of Arts and Humanities | University of Lisbon and the University of Beira Interior invite researchers, chefs and designers from all scientific areas to submit original papers for presentation at the 1st International Conference on Food Design and Food Studies, Experiencing Food: Designing Dialogues. 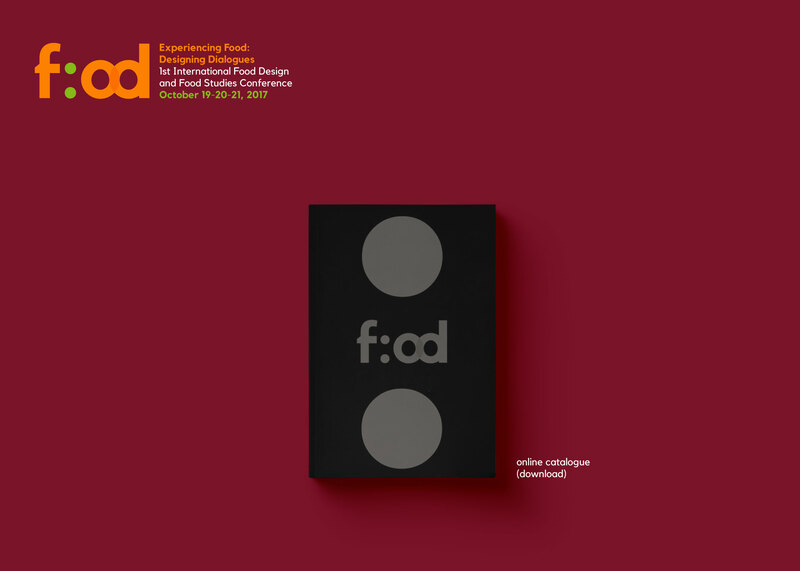 The organizing committee of the 1st International Conference on Food Design and Food Studies, Experiencing Food, Designing Dialogues, invites designers, architects, gastronomy researchers, artists, chefs and other creators to participate in the conference through a temporary exhibition taking place during the conference – 19, 20 and 21 October 2017. The theme of the exhibition will be Experiencing Food, Designing Dialogues, since it will focus on the most diverse forms of food design. How can we build dialogues between food and other disciplines besides gastronomy and cooking? Projects can be edible products, objects of use or communication, spaces, processes or services relating to the food universe. We welcome participants who present their projects regardless of being prototypes, projects in progress, concluded or commercialized. The selected projects will be part of an interdisciplinary and collective exhibition, open to the conference participants of the 1st Conference of Food Design and Food Studies, Experiencing Food, Designing Dialogues, taking place at the Faculty of Architecture of the University of Lisbon, 19-21 October 2017. Papers are to be submitted on the platform according to the criteria on the conference website and the projects will be evaluated by our scientific committee specifically designated for the practice of Food Design. Send an abstract (max. 500 words) + 2 or 3 illustrative images of the project until 10 April 2017 to the e-mail conference (info@experiencing-food.com) with the subject Call for Projects. Attach to the e-mail a word document (max. 2MB) with the images without authors information for blind review. If the project is selected, you are to send an extended project summary, technical information and images with resolution for panel printing. The participation in the exhibition will entitle you to attend the conference, display the project to the entire conference community, and have it as part of the conference proceedings to be handed to the authors and participants on the opening day. The registration process will only be complete when the authors receive a confirmation e-mail from the organization. - Authors with accepted projects must indicate the submission number of the approved abstract. - Authors with more than one accepted submission project have a 50% discount on the second enrolment. 5. Students must attach proof of such status. - Attend the conference with certificate of participation. - Coffee breaks on the 19th and 20th October. The registration process will only be complete when the attendees receive a confirmation e-mail from the organisation. Conference presentation and publication (the process of registration is only for abstracts accepted by the scientific committee). 9. Doctoral and MA Students must attach proof of such status. - Authors with accepted communication must indicate the submission number of the approved abstract. - Authors with more than one accepted submission have a 50% discount on the second enrolment. - In the case of submission of two or more authors, the main author of the paper must pay the full registration corresponding to the participation in the conference. Secondary authors should pay only the registration corresponding to the assistance if they want to attend the conference. - Observations: If you have special dietary restrictions, special accessibility needs or some information for your safety that the organization should know, please fulfill this item. - Authors with accepted proposals must indicate the name of the project. The registration process will only be complete when (attendees or authors) receive a confirmation e-mail from the organisation. The registration on Angela Carter. Appetites beyond the grasp of imagination (dinner experience*) and the Lisbon Cultural tour is limited to available seats. *A dinner experience within the scope of the multidisciplinary project Receiving | Perceiving English Literature. Afonso Borges (LABCOM.IFP - UBI), Alcinda Pinheiro de Sousa (ULICES - FL.UL), Ana Inácio (Territur - ESHTE), Ana Gaspar (C3i - IPP), Anna Cerrochi (Polytechnic University of Turin), António Lacerda (UALG), António Modesto (FBA.UP), Barry Kudrowitz (University of Minnesota), Bernhard E. Bürdek (Offenbach University of Art and Design), Carlos Brandão (ESHTE), Catarina Moura (LABCOM.IFP - UBI), Charles Spence (Oxford University - Crossmodal Research Laboratory), Cláudia Viegas (ESHTE), Daniel Raposo (ESART - IPCB), Elisabete Rôlo (CIAUD - FA.UL) Erik Jan Halting (TUDelft), Ernesto Vilar (LABCOM.IFP - UBI), Fabio Parasecoli (New School, New York), Fernando Moreira da Silva (CIAUD - FA.UL), Francesca Zampollo (Online School of Food Design), Francisco Paiva (LABCOM.IFP - UBI), Isabel Drumond Braga (FL.UL), Joana Sousa (FM.UL), João Paulo do Rosário Martins (CIAUD - FA.UL), João Nuno Pernão (CIAUD - FA.UL), Jorge Umbelino (ESHTE), José Vicente (LABCOM.IFP - UBI), Josélia Pedro (C3i - IPP), Juan Jose Arango Correa (Universidad Jorge Tadeo Lozano, Colômbia), Manuela Guerra (ESHTE), Maria do Carmo Serrano (INIAV), Maria José Pires (ULICES - ESHTE), Maria Teresa Nunes (FL.UL), Niels Heine Kristensen (Aalborg University), Paula Esteves (INIAV), Pedro Reissig (New School, New York - Universidad de Buenos Aires, Argentina), Rachel Edwards-Stuart (Westminster Kingsway College), Richard Mitchell (Otago Polytechnic - Food Design Institute), Rita Almendra (CIAUD - FA.UL), Rita Filipe (CIAUD - FA.UL), Ronald Tobin (University of California), Sancho Silva (ESHTE), Sara Velez Estêvão (LABCOM.IFP - UBI), Sonia Massari (Gustolab International, Scuola Politecnica di Design, ISIA Design School), Suzana Parreira (FBA.UL), Teresa Malafaia (ULICES - FL.UL), Vanda Correia (C3i - IPP), Vera Barradas (C3i - IPP). 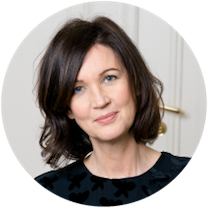 Alison J. Clarke is professor of Design History, University of Applied Arts Vienna, and founding director of the Papanek Foundation. A former Smithsonian Fellow, and recent Graham Foundation grantee, she is co-founder of the journal Home Cultures: Architecture, Design and Domestic Space, author of Tupperware: the Promise of Plastic in 1950s America, editor of Design Anthropology: Object Cultures in Transitio (2017) and co-editor of Émigré Cultures in Architecture and Design (2017). Catalogue essays for recent international design exhibitions includeHippie Modernism, Walker Art Center, Minneapolis (2015), So You Say You Want a Revolution? V&A, London (2016), As Seen: Exhibitions that Made Architecture and Design History, Art Institute of Chicago (2017). Clarke is presently completing a monograph for MIT Press titled, Design for the Real World: 1970s Humanitarian Design and publishes widely on the intersections of social anthropology and design. 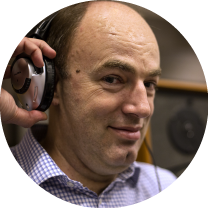 Professor Charles Spence is a world-famous experimental psychologist with a specialization in neuroscience-inspired multisensory design. He has worked with many of the world’s largest companies across the globe since establishing the Crossmodal Research Laboratory (CRL) at the Department of Experimental Psychology, Oxford University in 1997. Prof. Spence has published over 750 articles and edited or authored, 10 academic volumes including, in 2014, the prize-winning “The perfect meal”. Much of Prof. Spence’s recent work has focused on the design of enhanced multisensory food and drink experiences with chefs, baristas, mixologists and the food and beverage industry. The research conducted at the Crossmodal Research Laboratory in Oxford has garnered widespread media attention across the globe, including in The Economist (February 4-10th, 2012, p. 74), and The Financial Times (3rd June, 2013, p. 14). Over the last decade alone, Prof. Spence and the CRL have been featured in more than 2,500 newspaper articles, radio interviews, and television programs. 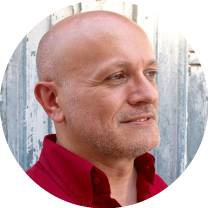 Fabio Parasecoli is Associate Professor and Director of Food Studies Initiatives at the New School in New York City. His research explores the intersections among food, popular culture, and politics, particularly in food design. He studied East Asian cultures and political science in Rome, Naples and Beijing. After covering Middle and Far Eastern political issues, he wrote for many years as the U.S. correspondent for Gambero Rosso, Italy's authoritative food and wine magazine. Recent books include Bite me! Food in Popular Culture (2008), the six-volume Cultural History of Food (2012, co-edited with Peter Scholliers), and Al Dente: A History of Food in Italy (2014, translated into Italian in 2015 and into Korean in 2016). His new book Feasting Our Eyes: Food, Film, and Cultural Citizenship in the US, authored with Laura Lindelfeld, will be released in November 2016 with Columbia University Press, while Unequal Territories: Food, Place, and Power in the Global Market is slated for 2017 with Iowa University Press. He is a regular contributor to the Huffington Post. Héloïse Vilaseca is a chemical engineer specializing in the fields of science and cooking who has collaborated with the Alicia Foundation, Harvard University, and now currently runs La Masia (R&D department) at El Celler de Can Roca. ...Is a promising Chef, that after begun his career (2007) in Cafeina, Porto, Portugal, a small vintage bistro restaurant, he took a degree, at the Hotel Management and Culinary Arts School in Estoril, Lisbon. Meanwhile, he went to several training periods in some national and international finedining scenes, 1, 2 and 3 michelin stared. Places such as Belcanto, Feitoria, Geranium and the Ledbury. (2012) He starts is own project "Revolta do Palato", customized food events, that, provided exclusive catering services, which led him to work across borders, particularly in Asia. (2013_2014) Pedro was heading the kitchen of "Grémio Literario" private club, as a Chef, project that marked the remodeling of this charismatic space in downtown Lisbon. Since September 2014, he assumed the duties of ESPORAO restaurant , where he focused on a dynamic concept, targeting the demand for local products through small farmers and producers and the daily work with restaurant’s garden, based on the availability and seasonality of each product. At this time, his biggest inspiration is really the Portuguese original cuisine and what surrounds it, understanding the most ancient origins, with special affection and respect for the Alentejo, where the restaurant is located and every day serves his inspiration. 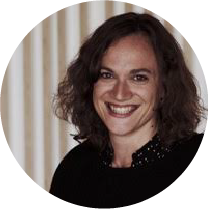 Dr. Sonia Massari's PhD is in Food Systems and Interaction Design (Engineering, University of Florence). She is the Academic Director of the University of Illinois at Urbana-Champaign Food Studies programs and Director at Gustolab International Institute for Food Systems and Sustainability Studies in Rome. She is member of the specialist academic committee of Gastronomic Science Degree at Roma Tre University. 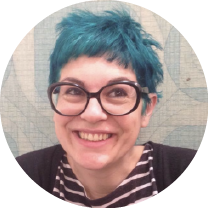 She is faculty member at Roma3 University, at Scuola Politecnica Design – (Food Design Master Program) and at ISIA Design School Rome - (Systemic Design Master Program). She is scientific consultant and senior researcher for the Barilla Center for Food and Nutrition Foundation. She collaborates with several private and public institutions and she is TV program consultant. In 2012, she won the International “Le Tecnovisionaries” Women Innovation Award, a prize which publicly recognises women who have demonstrated an ability to combine creativity and innovation in order to improve quality of life, in particular in the area of food and nutrition, and in 2014, she won the NAFSA TLS Knowledge Community's Innovative Research in International Education Award. She is a member of the Association for the study of Food and Society (ASFS), CAFS (Canadian Association Food and Society) and the WE -Women for Empowerment network. In 2015, she was co-director and co-founder of the first European Conference on “Understanding Food Design” in Milan. She is currently coordinating the ADI INDEX Food Design commission and she is part of the scientific board of the International Food Studies Conference Rome 2017. She is member of the editorial board of the International Journal of Food Design and of the Frontiers Journal (on Sustainability). Sonja Stummerer and Martin Hablesreiter studied both architecture in Vienna, London, and Barcelona. After graduation they worked for a year as architects in Tokyo, Japan, before founding the interdisciplinary architecture studio honey & bunny in Vienna in 2003. They have realized several building projects in Vienna, directed a movie “food design – der Film”, curated the exhibition “food design” at the MuseumsQuartier Wien, and participated as designers and eat art artists in numerous international solo and group exhibitions, among others in London, Zürich, Vienna, Salzburg, Milan, Amsterdam, Gwangju, and Hanover. 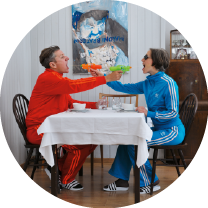 Since 2011 they perform about sustainability, cleaning and eating like in Milan, Paris and Salzburg. In 2005 they published the book “food design – von der Funktion zum Genuss” (Springer Vienna/NY), in 2009 “food design XL” (Springer Vienna/NY) and in 2013 “eat design” (Metro Verlag Vienna). Stummerer and Hablesreiter have given many international talks, were visiting professors in Bucharest (RO), Istanbul (TR), and Chennai (IN), and currently teach at the University of Salzburg and the Austrian Marketing University of Applied Sciences. The 1st International Conference on Food Design and Design Studies, Experiencing Food, Designing Dialogues will take place in Faculty of Architecture of the University of Lisbon and at Estoril Higher Institute for Tourism and Hotel Studies, Estoril. How to arrive at Faculty of Architecture of the University of Lisbon? How to arrive at Estoril Higher Institute for Tourism and Hotel Studies? Passando as portagens, após a saída do Estoril, irá chegar a uma rotunda. Deve sair na 2.ª saída da mesma e seguir em frente até surgir do lado direito, a indicação da Escola Superior de Hotelaria e Turismo do Estoril. Ao chegar ao Hotel Sana Estoril, deve virar à direita (antes de ultrapassar o hotel) e seguir pela Av. dos Bombeiros Voluntários do Estoril. Na primeira rotunda (Rotunda Condes de Barcelona) vire à direita e siga em frente até surgir, do lado esquerdo, a indicação da Escola Superior de Hotelaria e Turismo do Estoril. The abstracts submitted and accepted by our scientific committee will be reviewed in two phases (1st Phase - abstract) and (2nd Phase - complete article). Once the abstract is accepted, you will have to submit the complete article corresponding to the communication; it must be in English according to the ISI / SCOPUS / WEB of Science indexed publisher formatting, which will publish it as a book chapter. It should be sent to the organization by June 15 / June 30, 2017 to the e-mail info@experiencing-food.com, using the template provided. Failure to comply with the submission rules set forth in the template will lead to the exclusion of the publication. Articles may still be reviewed after the event, as there are surely ideas that can be sharpened and enriched because of and during the conference. You will have 15 minutes to present your paper and it may be delivered in Portuguese or English. Still, the graphic presentation should be written in English. The graphic and audio-visual material can be sent in advance (until October 15) or reproduced from a pen-drive (October 19-20). Note: Paper and digital publication does not involve the payment of any additional fees, as it is included in the conference registration fee. Sending these elements involves the transmission of publication rights to the organization, notwithstanding that the authors retain the intellectual property. Authorization to publish images is the responsibility of the authors. The deadline for submitting a communication proposal will not be extended unless prior notice from the organizing committee. ‘Reading a book is like re-writing it for yourself. And I think all fiction should be open-ended. You bring to a novel, anything you read. All your experience of the world. You bring your history and you read it in your own terms’. These words, by one of the most unusual and talented writers of the 20th century, eco a concern with simultaneously sabotaging and invigorating past experiences, since for Angela Carter (1940-1992) texts are intrinsically self-dismantling and open to new readings. Just as writing is as creative as reading – ‘I am all for putting new wine into old bottles, especially if the pressure of the new wine makes the old bottles explode’ (“Notes from the Front Line” 1983) – we are working on a more original (re)reading of The Bloody Chamber (1979): gastronomically. This widely known collection of short fiction by Carter offers the possibility of reading her as a post-modern fabulist reimagining fairytales – “she felt that she was extracting the latent content of the original tales, not creating clever new modern takes on them” (Edmund Gordon 2017). Accordingly, the choice of this collection tones with Carter’s own description of herself as a ‘demythologiser’ and our interpretation of her enquiring, controversial and beguiling nature defined the challenge now suggested to previous students of the MSc in Innovation in Culinary Arts (ESHTE) to perform this second multisensory experience, where guests may perceive the literary work from a distinctive (re)interpretation. The idea that we all perceive the same reality is an illusion. From the individual perception, we can translate stimulus that allows for the reconstruction of reality. As previously, this will be a unique moment which reflects creatively a way of receiving literature through gastronomy. You may have a glimpse of the sensory experience (part I) which took place at the Estoril High Institute for Hotel and Tourism Studies (ESHTE) in May 2017, through a TV news (), journalistic pieces (SAPO & Alexandra Prado Coelho), guests’ feedback and learn more about the project Receiving | Perceiving English Literature. * The fee includes all the material and a certificate of participation at the end of the workshop.